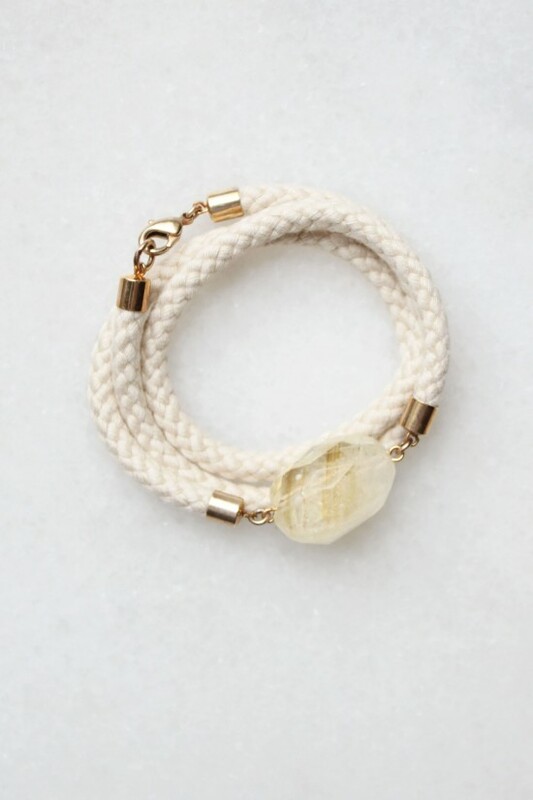 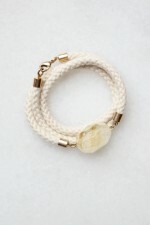 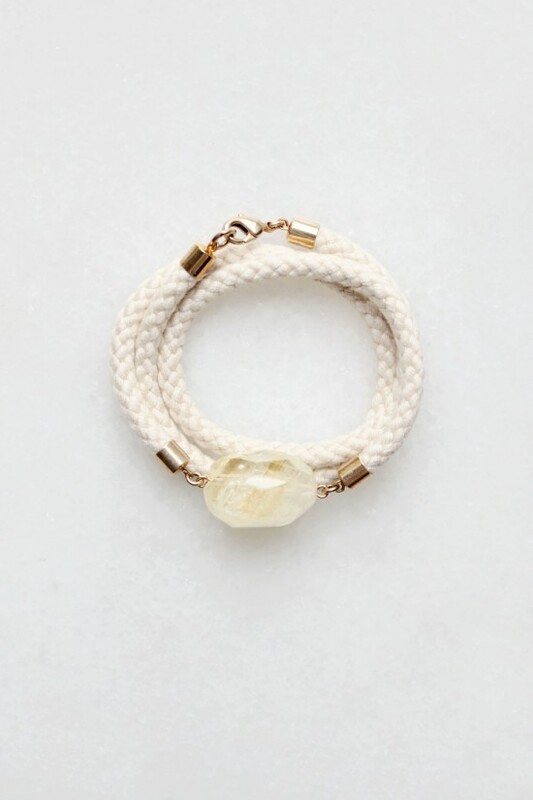 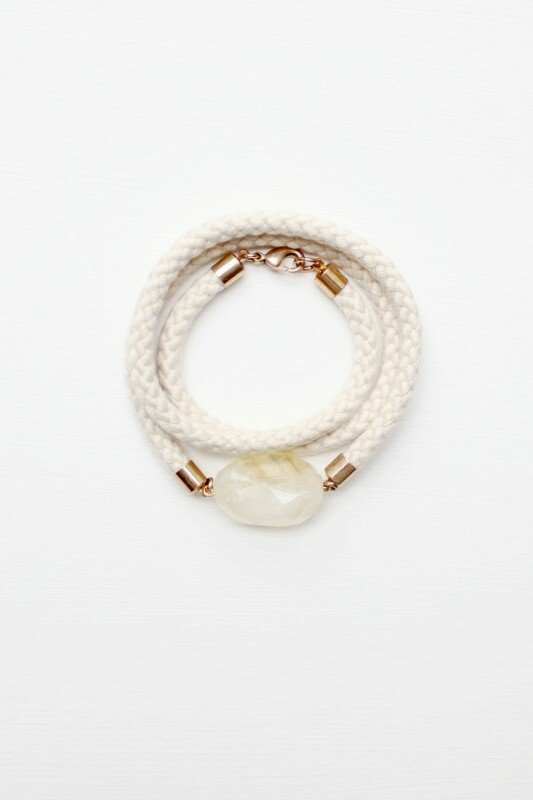 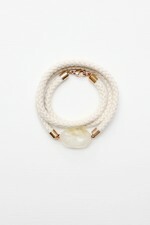 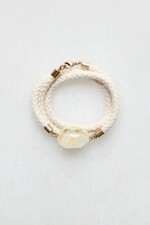 Braided rope wrap bracelet with a faceted citrine stone and lobster clasp closure. 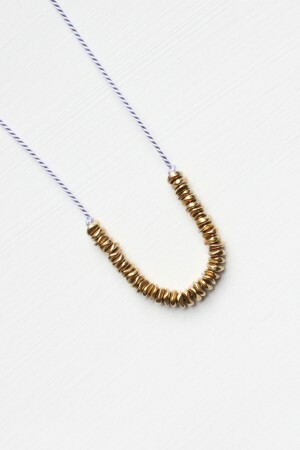 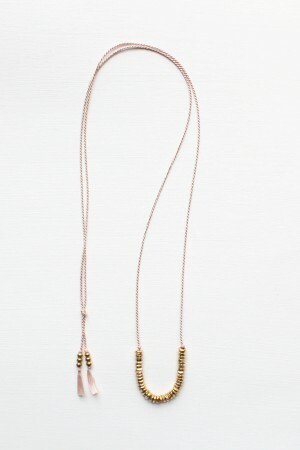 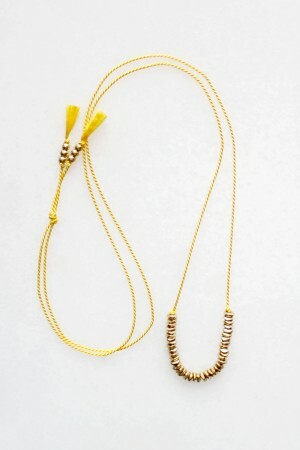 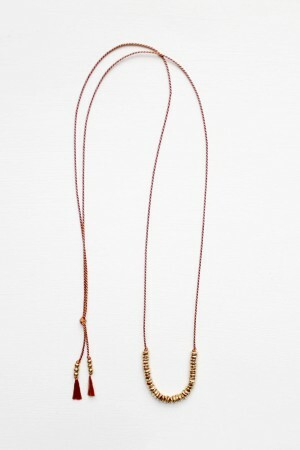 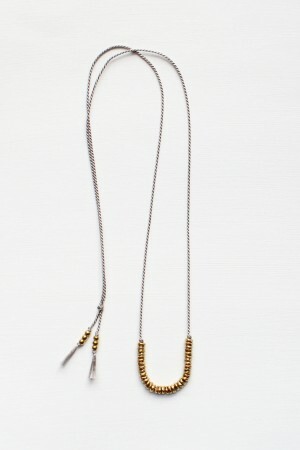 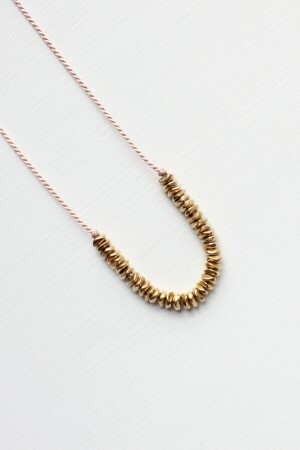 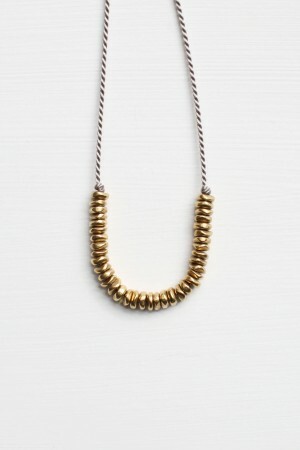 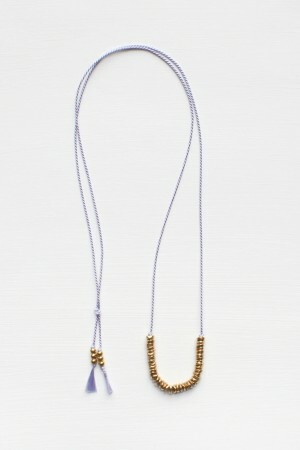 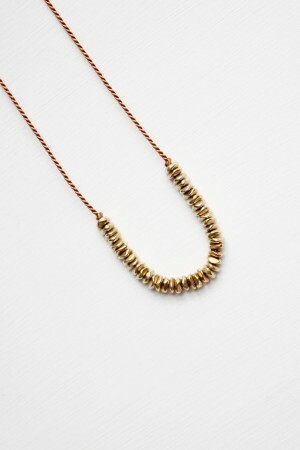 A versatile piece that can also be worn as a necklace. 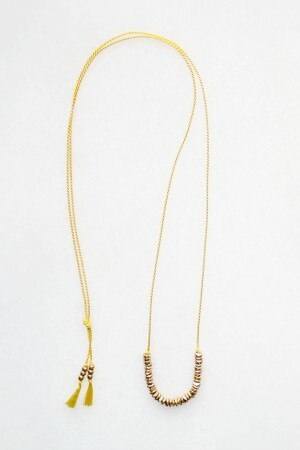 Due to the organic nature of citrine, each stone may vary slightly from those pictured.